THE FANTASTIC HEROES OF LEGEND AND MYTH COME TO LIFE! Toronto, ON – January 31, 2011 – The heroes, villains, monsters, and gods of legend have captivated the imaginations of artists and audiences alike for millennia. Now, Chile’s premiere fantasy painter captures these larger than life figures in LEGENDARY VISIONS: THE ART OF GENZOMAN, a new art book from UDON Entertainment. LEGENDARY VISIONS collects the breathtaking works of artist Gonzalo Ordóñez Arias, also known as Genzoman! Inside you’ll find spectacular renderings of the gods and heroes of ancient Greece, Egypt, South America, Scandinavia, Asia and more. Also included are fantastic interpretations of real life historical figures so amazing that they have become legendary themselves, such as Caribbean pirates, Japanese warriors, Middle Eastern royalty, and Egyptian pharaohs. This 208-page full color volume will make an excellent addition to any mythology or art book aficionado’s collection! 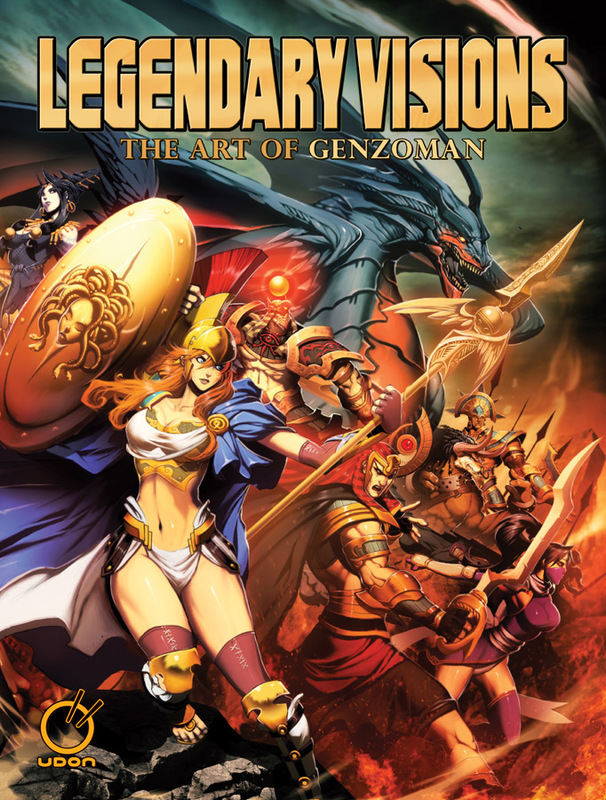 LEGENDARY VISIONS: THE ART OF GENZOMAN arrives in stores everywhere May 2011. UDON Entertainment is a Canada-based publisher of original comic books, graphic novels, and art books. UDON’s best-known projects are those based on popular video game franchises such as Street Fighter®, Darkstalkers®, Okami®, Resident Evil® and Mega Man®. The publisher’s ever-growing library also includes English editions of several Japanese manga titles, the anthology art book series APPLE, and the Manga for Kids line for children ages 7-12.